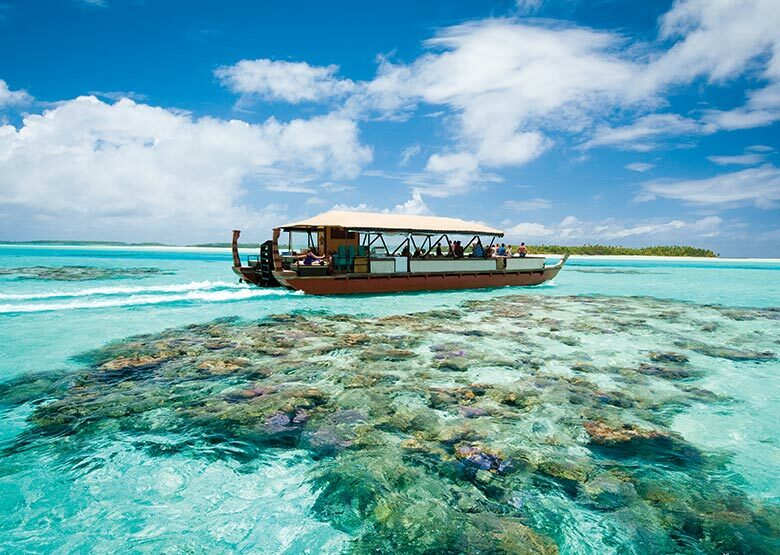 The turquoise waters of Aitutaki’s lagoon are an unforgettable experience and in our opinion, The Vaka, is the perfect way to spend the day cruising the famed lagoon of Aitutaki aboard a 21-metre Polynesian style double-hulled canoe Titi-Ai-Tonga and also visit some of the small islands (motus) that dot this lagoon. The Vaka has comfortable covered seating as well as deck sun loungers. There is also a sumptuous BBQ Lunch, snorkelling, beach combing and a more extended stop on legendary One Foot Island to dive into the crystal clear warm water or suntan on the beach. Impromptu entertainment by the the Vaka Cruise crew will have you tying pareu, weaving coconut leaf plates or humming island tunes. O’otu Beach, regarded as the best beach on the island, is perfect for swimming and playing in the water. When low tide, you can walk around the long sandbars. We love how the water is incredibly clear and, with the different sunlight throughout the day, changes colour to vibrant hues of blue. Fortunately, it’s never crowded, so it’s easy to find a deserted spot and play castaway. You can rent paddle boards from Ranginui’s Retreat, and the water is deep in spots, ideal for beginners, so you don’t fall onto coral or rocks. Start from here and practise in the channel running alongside the beach. Aitutaki Village & Aitutaki Lagoon Resort are both close by, an excellent excuse for a long beachside lunch. This is an ideal, sandy beach, perfect for swimming, but if you love to snorkel, you will see much more coral & fish life on the other side of the island near Pacific Resort. After so much time in the sun, sand and ocean, you must treat yourself to a massage at the luxurious Pacific Resort Aitutaki. 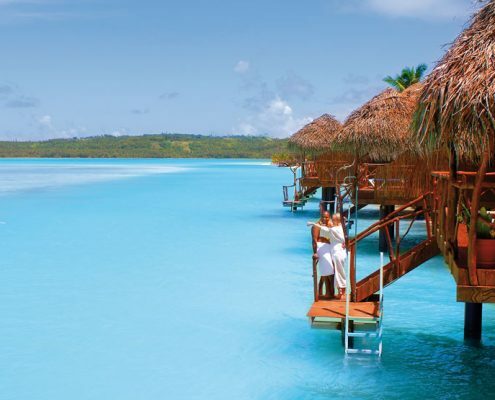 Tiare Spa is perched high above the breathtakingly turquoise waters of Aitutaki Lagoon. Here you will experience ultimate relaxation in a peaceful Polynesian setting while listening to the sound of the waves. Pamper yourself with a relaxing massage or choose from one of a vast range of beauty treatments; this Spa is renowned for its exceptional service. Every Thursday enjoy Tamanu Beach Resort’s Takurua “Special Feast”. This weekly evening event is a chance to experience genuinely traditional Aitutaki flavours. After, be wowed by an energetic performance of Cook Islands song, dance, fire dancing and more from the cultural group TE AITO. The night begins at 6:30 pm with a cocktail, wine or beer as you listen to live island music. The buffet dinner is served from 7 pm and consists of island-inspired cuisine including a fantastic dessert selection showcasing the sweetest of organic tropical fruits. As the sun disappears, our traditional Fire and Dance show light up the Aitutaki lagoon and the night sky at around at 8.30 pm “Aitutaki time”. The dancers, donned in traditional costume, take you on a narrative journey through the South Pacific. The night air fills with incredible energy – authentic dance, beautiful costumes, hand clapping and singing. The warrior men dance with fire to the rhythm of Pacifica drums while the women move gracefully singing in sweet harmony. There’s a definite possibility that by the end of the night you’ll be up dancing along to the beat of the island drums as well. It’s a ‘must do’ experience. Arguably the most exceptional food and beverage in the Cook Islands, this is Pacific Resort Aitutaki’s signature restaurant. 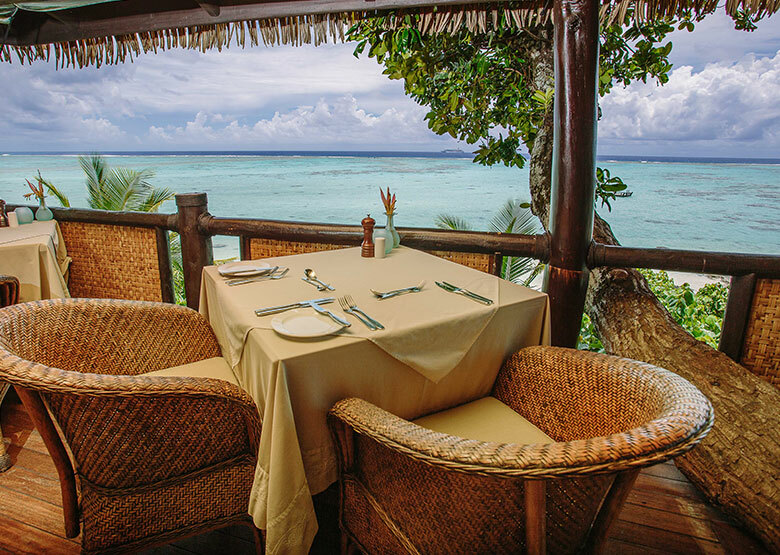 Here you will experience an elegant island cuisine menu with outstanding service including local fresh Aitutaki produce and a selection of sumptuous seafood. 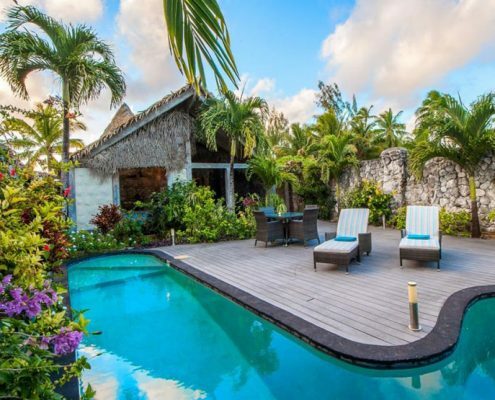 The view is gorgeous with panoramic views over Aitutaki Lagoon, and at certain times of the year, whales frolicking in the distance is a daily treat. Every Wednesday night Pacific Resort Aitutaki showcases a unique South Pacific culture with an energetic performance featuring song and dance performed by the locals. You will feel the heart and passion of the island drummers, guitarists and ukulele players as they immerse themselves proudly in centuries-old Aitutakian culture. 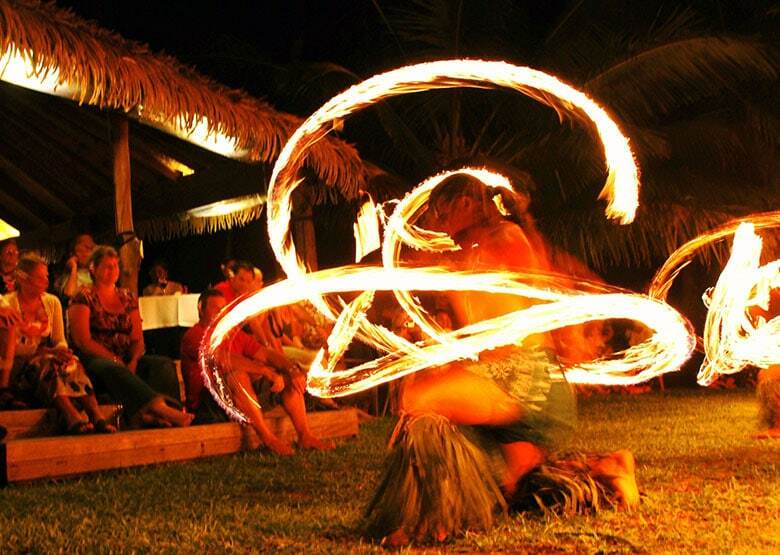 This night is the time to immerse yourself in authentic Cook Island culture – an experience not to be missed. Reservations are a must. Rapae Bay does not accept walk-ins. For something more casual, we like this cafe for breakfast, lunch and great coffee. Owned by two Kiwis, their passion for excellent but relaxed cafe cuisine means they continually get outstanding reviews from their guests. Located on the way to Ootu beach, its a very casual island setting typical of the South Pacific with lovely gardens, a large veranda and the occasional chicken wandering under the table. There is little to fault with anything on the menu, but try the soft fish tacos, salt & pepper squid or a big sharing plate. For a quick snack, the cakes with coffee are a real treat. 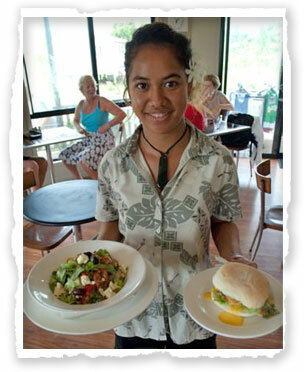 Koru Cafe can also provide Picnic and BBQ packs to cook up at your favourite deserted beach. 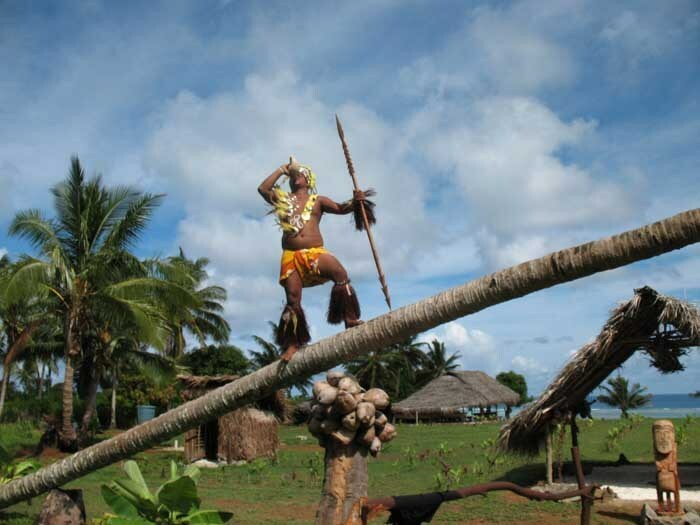 Punarei Cultural Village is a very authentic experience that gives you the chance to interact and discover the hidden culture of Aitutaki – stories which have not been told since the arrival of the missionaries in 1821. Run as a local community project the Village was built as a replica of traditional village life based on extensive research. You can visit the sacred site ‘Marae Arangi-rea’ that was excavated for research, learn about the essence of the ritual practices on the site and find out why the Marae has been a forbidden site to the locals for almost 200 years. The cultural tour is very laid back, run by locals with their stories about the impact on their culture when traditional ways were abandoned by the people. You’ll be exposed to local culture and language and start to appreciate the difference between Aitutaki and the rest of the Cook Islands. This is a hands on experience not to be missed and operates Monday, Wednesday and Friday. (9am -1pm), but you must book in advance. 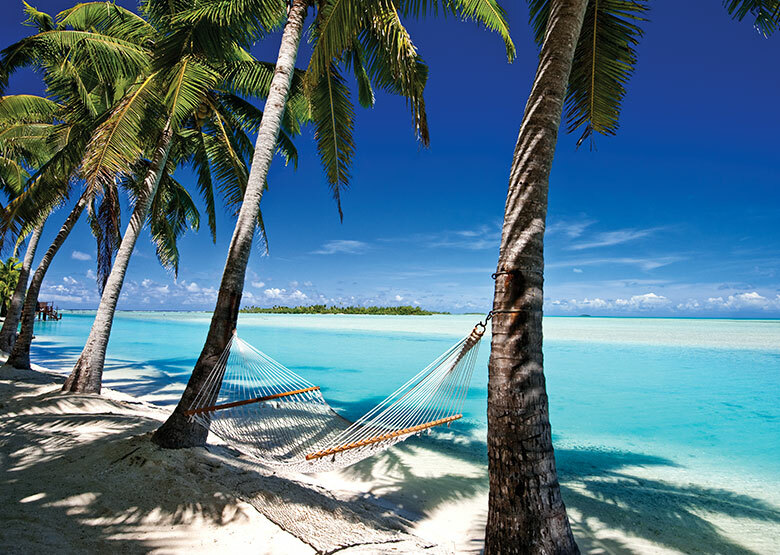 A selection of our favourite resorts in Aitutaki. 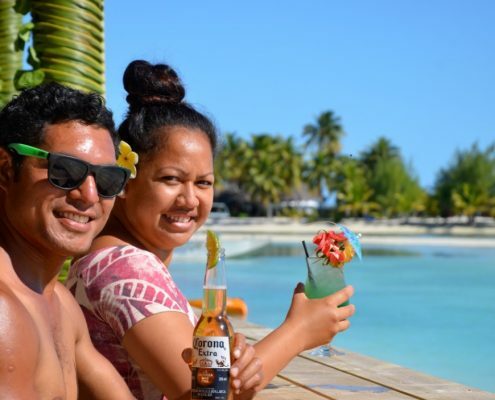 Aitutaki Village offers a friendly and relaxed getaway.